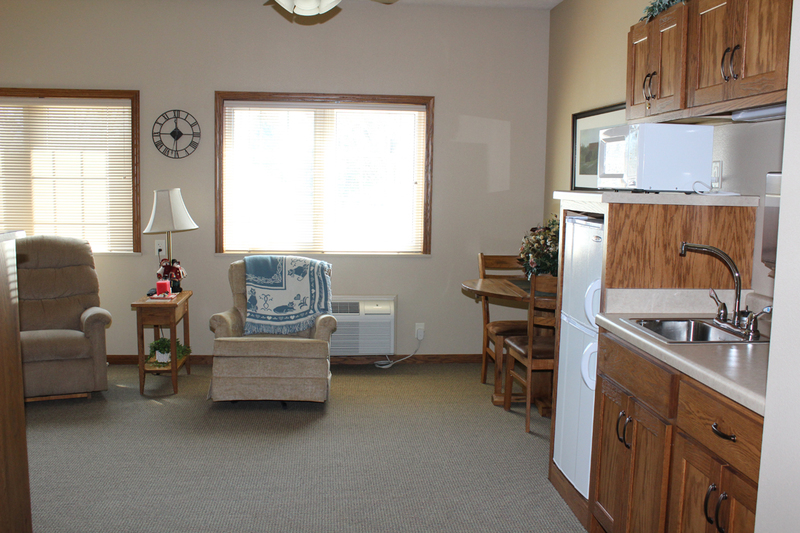 Prairie View Assisted Living offers apartment options, including a variety of sizes, layouts and views. 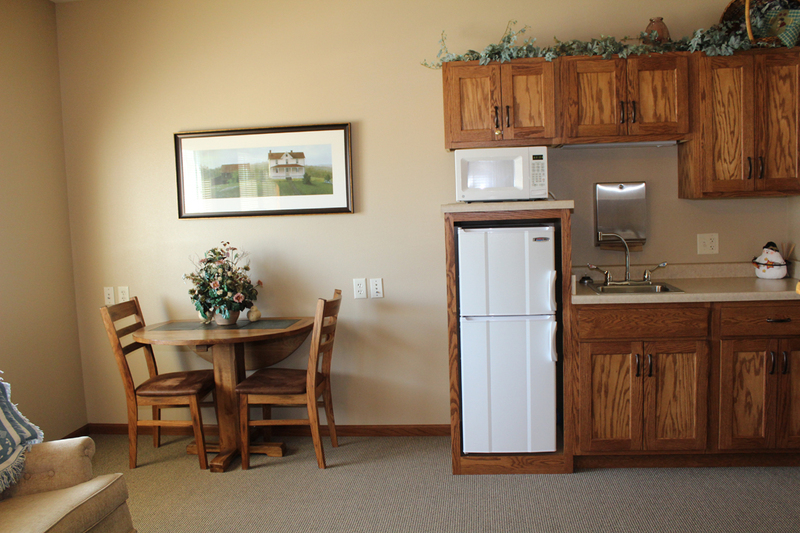 Kitchenettes with a small refrigerator, microwave, sink and cabinets. 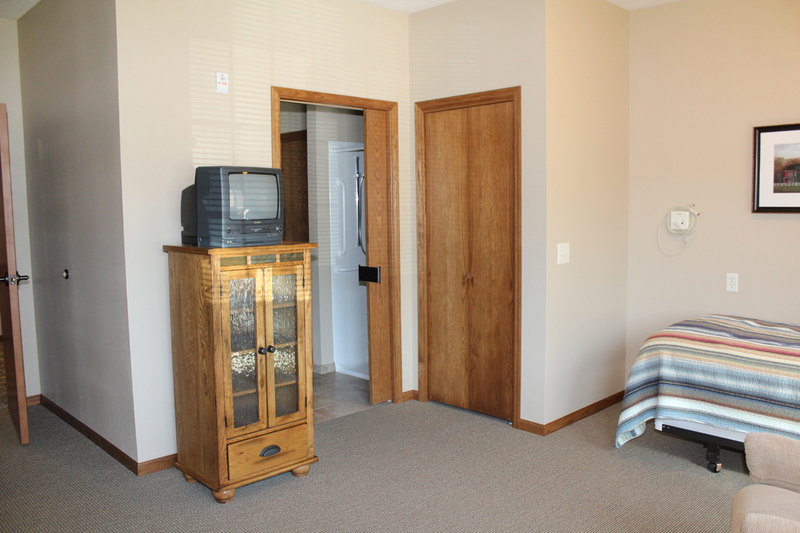 Ceramic tile floors, showers with foldable seats and adjustable shower heads. Cable TV connections, window shades, individually controlled heating and air conditioning units. All utilities paid except for personal telephone. A personal emergency response system in each bedroom and bath, a mobile emergency pendant for each individual, safety-assist bars in the bathroom, an automatic sprinkler system and smoke detectors.